The much anticipated return of The Strokes frontman, Julian Casablancas to the Bayou City has become one of the most talked about things since the establishment of Drake Day. This Halloween, along with The Voidz, Casablancas will perform his first show in the Lonestar state at Houston’s legendary House of Blues for the release of his second solo album, Tyranny, which will be out on stores on September 23. Casablancas’s original band, The Strokes are considered to be one of the best acts of indie rock history, emerging in 2001 with their critically acclaimed debut album, Is This It, which saw for the band worldwide recognition and a permanent place of leadership in the rock revival movement of the early 2000’s. 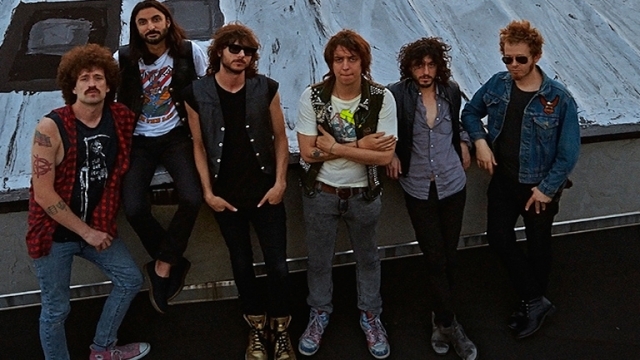 The Strokes have graced Texas with only a limited amount performances and since their hiatus in 2006, have branched out to create solo acts for themselves which has dropped the band’s productivity as well as their touring both as a band and as individuals. With two albums since ’06, neither of the two works has seen much success on the charts, nor the realization of an actual tour. Nonetheless The Strokes fandom continues to be quite strong and in a few years, who knows? There might be another album away and possibly a tour (both of which band members have hinted at being in the works). This will be Casablancas first time in Houston in four years. His last time in the city being in 2010, as he headlined his debut solo album Phrazes for The Young, which was not so much a commercial success but quite the experimental accomplishment for the thirty seven year old musician. His side project with The Voidz and the release of his second solo album has fans anticipating what is next on Casablanca’s agenda, which always seems to be filled with new and innovative surprises, including tons of new electronic instrumentation, synthesizers and his recent flirtation with higher pitched vocals. If anything that’s the genius behind Casablancas and his music, that despite the changing times and the mixed reviews on his projects, he continues to produce quality music and experiment with new styles and instruments that have not only expanded past his musical horizons but also prove his longevity as a musician. If you haven’t bought tickets yet, I highly recommend you do, this will be one show you do not want to miss.